Comment: I'm having an issue with moles in my yard. I've tried traps, but they haven't worked. I have two dogs and I'm unsure about using pellets or chemicals around them. Comment: I'm interested in termite treatment to protect my homes exterior structures and hard wood floors. Comment: Door frame on porch has termite damage. Comment: Carpet beetles throughout the house. Mostly by windows. Comment: The place I live in had a problem with termites before I moved in. But now I am seeing the door frames look like they are being eaten. Comment: Want inspection and then probably bond for termites. Comment: My 5 year contract for termite bond just ran out. Looking for the best deal to renew. Charleston Pest Control Services are rated 4.67 out of 5 based on 309 reviews of 15 pros. 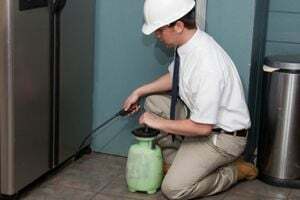 Not Looking for Pest Control Contractors in Charleston, SC?